Days Gone's upcoming Photo Mode will have tons of options, blowing some of the others seen in recent games out of the water. 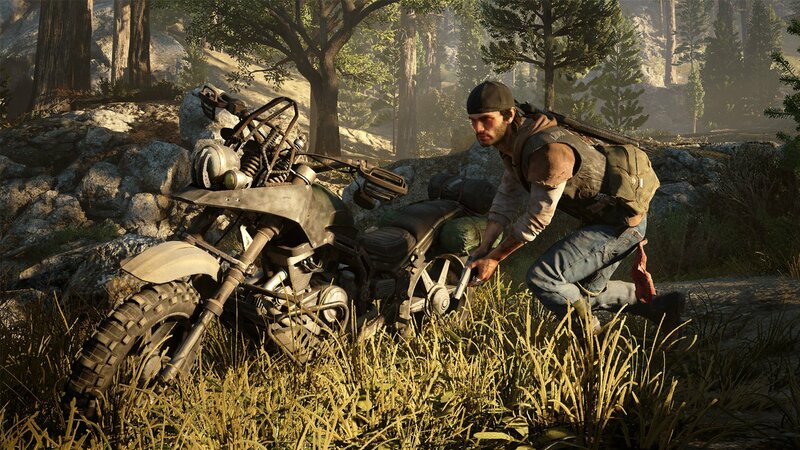 The upcoming PlayStation exclusive Days Gone is joining the ranks of the games out there with Photo Modes, as Bend Studio just announced it will be getting one as well. You'll be able to take as many stunning photos of the world of Days Gone as you want, with a variety of facial expressions to choose from as well as plenty of options to make each photograph uniquely yours. There's a Frames & Presets panel with nine custom frames, black frames in different shapes and sizes, various Days Gone logo presets, and 18 filter presets. The Lens option lets you change up Field of View, Aperture, Focal Distance, and Film Grain as well, to add some more pizzazz to your pictures. There's also a Focus Lock mode, which lets you set a permanent focus point that will remain sharp, no matter how you move the camera around the play field. Finally, Advanced Mode lets you fine-tune your shots by manipulating 55 different settings, including Color Grading, Color Depth Grading, Bloom, and other options. It's the same interface that Days Gone artists use to create the same filter presets that come with the game standard, meaning this version of Photo Mode is truly going to be one of the most impressive ones out there. It will also be available at launch. Charles Singletary took a look at Days Gone at PAX South 2019, and had some interesting things to say about the game. Here were some of his thoughts on the matter. "I outran the Freakers for a good while, but my stamina did start to wear down. I also didn’t think very vertically throughout my attempts. Climbing only slows the zombies down so much, but every additional inch of breathing room I got was useful and there were a few spots around where I could have taken advantage of this. Another takeaway is that players will have to constantly be aware of the path the zombies are being guided through. There were a few times where I’d double back by mistake and end up having a pathway cut off by stray Freakers. Days Gone is set to debut on April 26. Game comes out in about a month and nearly zero hype. I don't have high hopes for this game.